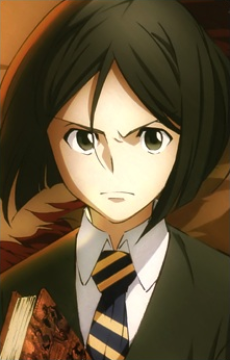 Birthday: October 3 Height: 157 cm Weight: 50 kg Blood Type: B Waver Velvet is a nineteen year old student at Clock Tower, an institute of the Magus Association, and mage with a recognized magical lineage of three generations. While he is talented, he is not recognized by his peers or lecturers. An intelligent young man, Waver came up with the revolutionary concept that a mage's power could be increased through effort, experience, and knowledge rather than increasing magical potential through that of a mage's heirs. His idea is dismissed by his lecturer, the nobleman Kayneth Archibald El-Melloi, who tears up Waver's manuscript without another thought. When Waver discovers that El-Melloi will participate in the fourth Holy Grail War in Japan, Waver steals the artifact El-Melloi intends to use to summon his Servant and runs off to Japan. Intending to win the Holy Grail in order to force the Magus Association to recognize his genius, he takes the stolen artifact and summons Rider-class Servant, Iskander. After the Grail War, Waver decides to continue living with the Mackenzies for a while in order to save up money to travel around the world. He also takes with him, among the many items accumulated by Iskander bought during their time together, the video games that the Servant bought but never had a chance to play. He eventually takes on the title of his former teacher at the insistence of Lord El-Melloi's sister.